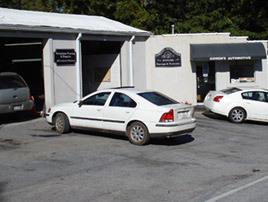 We are a family-owned and operated business located in the outskirts of Atlanta. 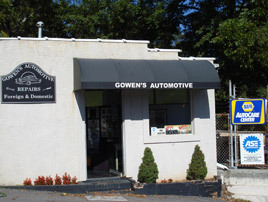 Rip Gowen opened his first auto repair business in Red Oak, Georgia in 1961 and relocated to Fairburn, Georgia in 1976 at our current location. In 1999 his son, Rick took over the business and has carried on the family tradition of providing quality and trustful service to our customers. Until the early 1970s, consumers had no way to distinguish between incompetent and competent mechanics. In response to this need, the independent, non-profit National Institute for Automotive Service Excellence (ASE) was established in 1972. Gowen's Automotive Repair ensures that all of our technicians is kept up to date on the newest automotive technologies and are proud to say our shop is ASE Blue Seal Certified certified by the National Institute for Automotive Service of Excellence (ASE). To become a Blue Shield Shop 75% of the mechanics must be ASE certified in the area that the shop offers, 100% of Gowen's Automotive Repair's mechanics are ASE certified. Since 1976, Gowen’s Automotive Repair has been meeting and exceeding our customers’ expectations. We believe that doing an honest job for our customers is just good business. We are known as “The Professionals” when it comes to auto repair. Our technicians have the experience, knowledge, and expertise to diagnose and repair your automobile. In 2008, we became a NAPA AutoCare Center. Doing so has allowed us to always ensure that our customers are provided quality parts as well as a Nationwide 12 months/12,000 mile warranty on parts and labor. Our belief is that to serve our customers properly we must be able to stay up-to-date with both technology and knowledge. Our team frequently attends classes to continue to learn about new changes to vehicle technology. We keep up-to-date factory level scan tools on most foreign and domestic vehicles. If you think your vehicle may be having mechanical problems, please call or bring your vehicle in for a performance check or a diagnosis. As always we strive to be your one stop automotive shop.